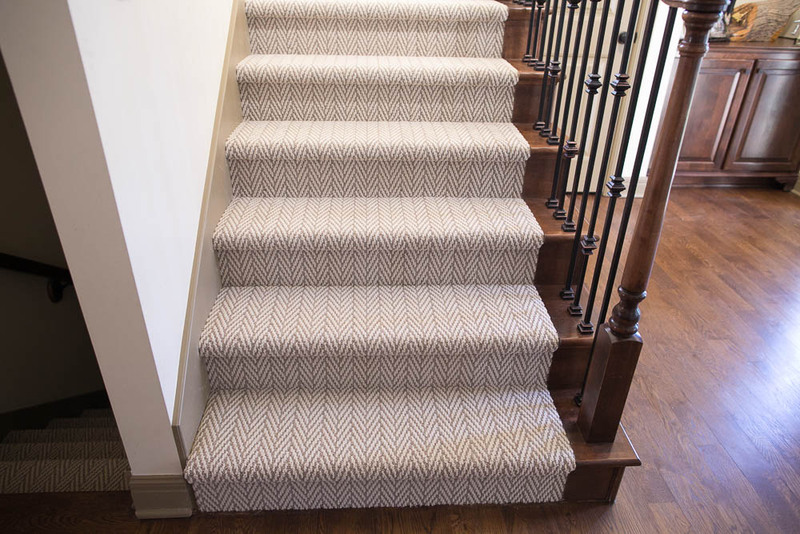 When you install carpet on your staircase, this is what Hollywood carpet stairs could look like in your home. This provides a very clean look that is achievable in any home. If you are looking for a renovation project that will provide the biggest visual update to your home, consider an update to your staircase! We just did a face-lift to our lackluster staircase with a pattern design to draw attention to the space that was typically overlooked. 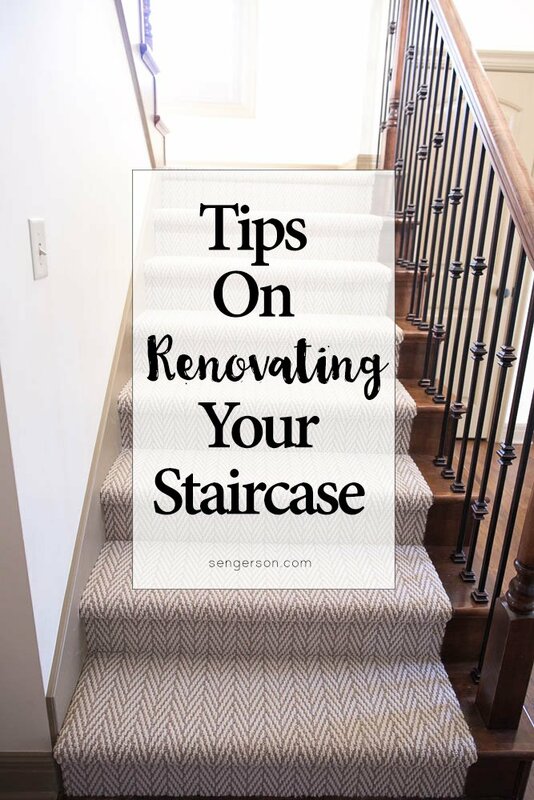 I’m sharing with you a few considerations on what to think about when carpeting your staircase through my own experience. Firstly, I wanted to show you the before images of our own staircase makeover. I like to call this shag carpet, but its also known as high pile carpet. This is the same carpet that is throughout the house. Yuck! 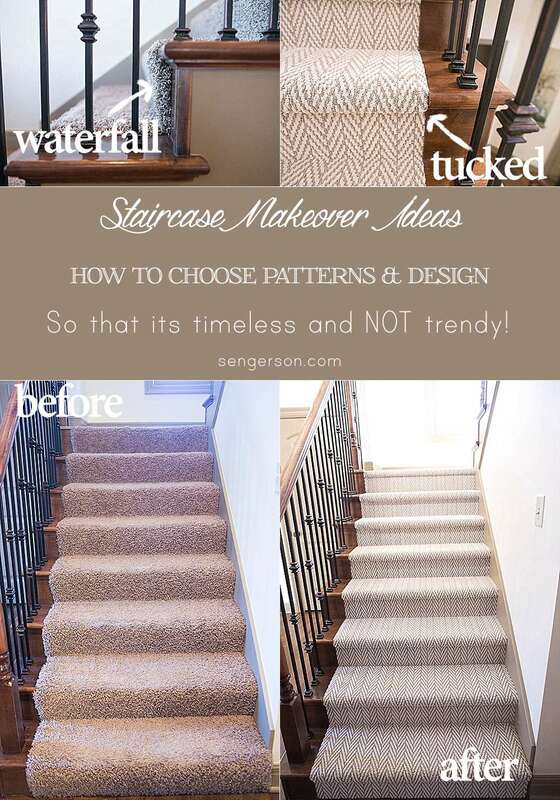 My goal for our makeover was to provide a contrast for the stairs from the rest of our home’s carpeting. Typically, we are ones to try to DIY these projects. But staircases are a big deal, and we wanted to make sure we would get it done right. 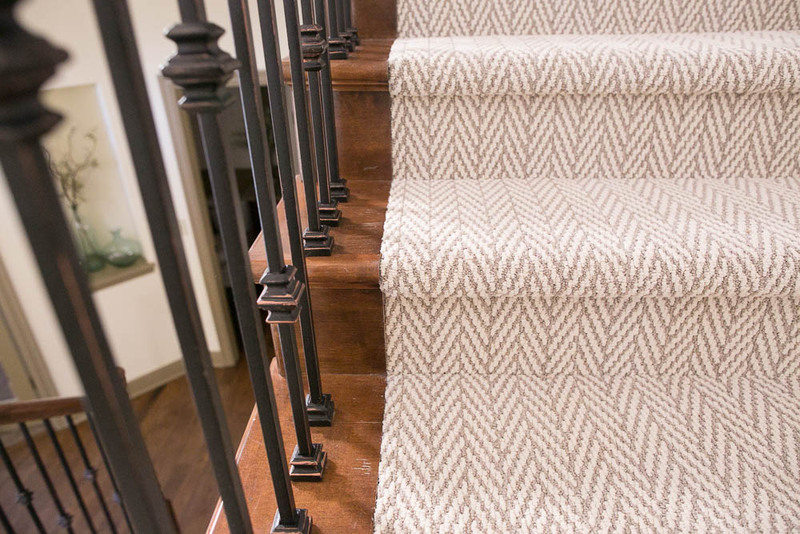 Since stairs are typically high traffic areas, durable carpet like Berber is a must. 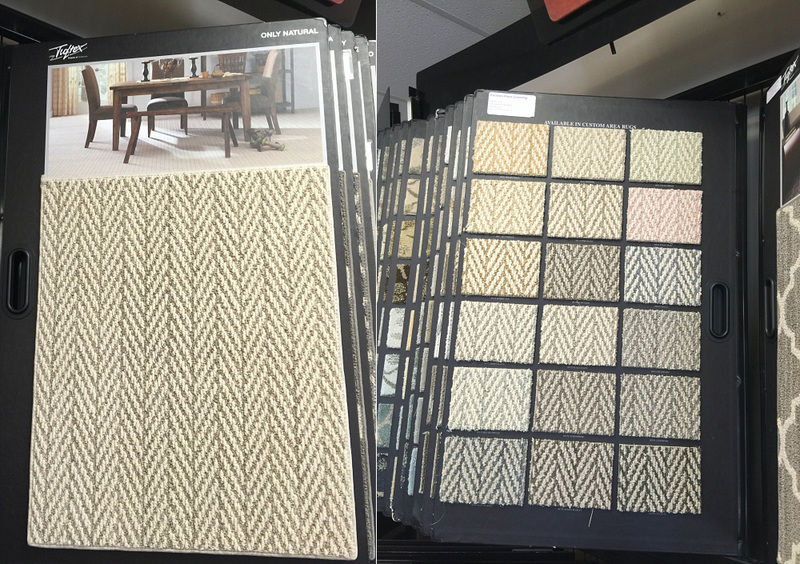 Berber is known for its low, densely woven fibers which have the benefit of repelling dirt and debris much more efficiently than shag carpet. 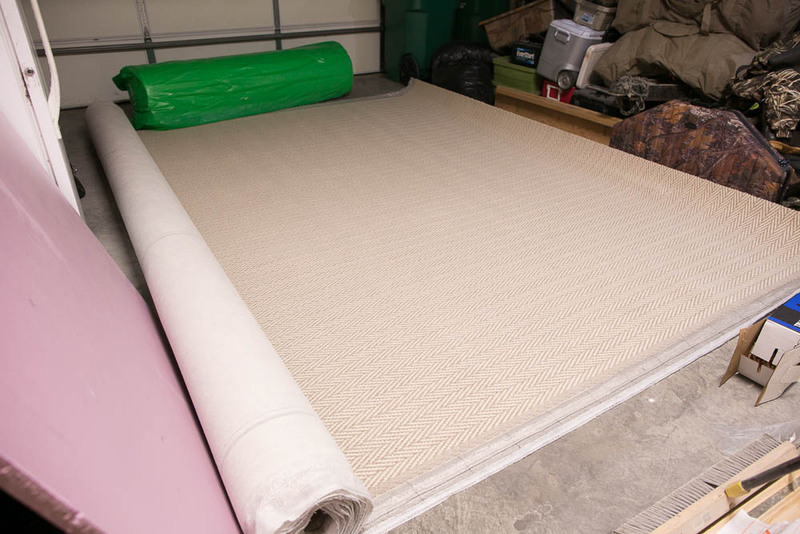 Most importantly, there is no matting with Berber! This is what I hated about the shag carpet on myHollywood carpet stairs. 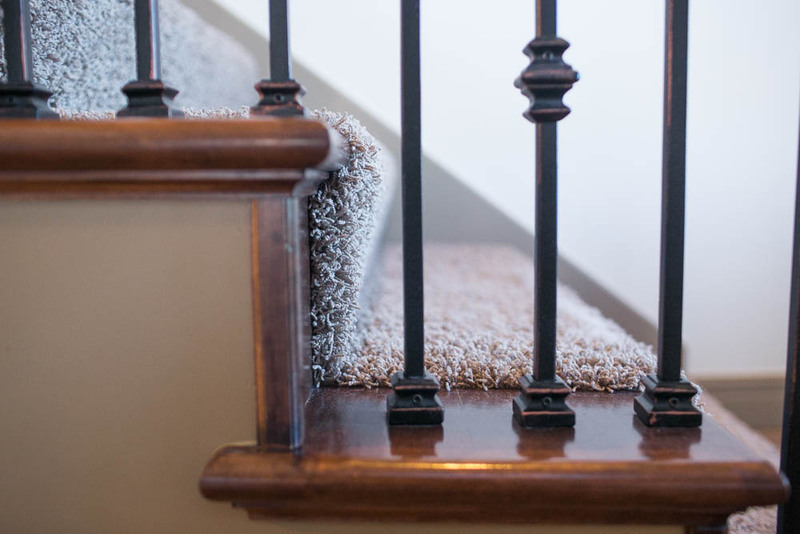 Why would anyone choose high pile carpet for their staircase! People, go low pile. Even as a non-expert, I knew that! My goal in choosing a design was ensuring that I picked one that was timeless. I didn’t want to pick a trendy pattern that would be out of style in a couple of years. However, I was so torn. Even when I picked my carpet, I wasn’t 100% sure of my design choice. Below was the design I was in love with. I’ve seen it at other people’s houses in person and was obsessed. It looked GORGEOUS. However, I have this Moroccan trellis pattern in my powder room wall and in baby boy’s nursery rug. And I think this trellis design has been a trend in the last 5 years, so I assumed that the lifecycle for this is coming to an end (I might be wrong). Isn’t it pretty? I’m going to go through a few other patterns that caught my eye and what I thought about during my selection. 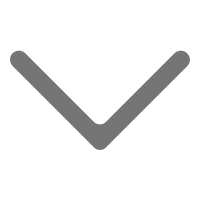 This is a second version of the pattern without the outline. I wasn’t as thrilled about this one, as there was no contrast. Then, I saw this pattern and was in love with the color on the right. I wanted a creamy/beige tone to the staircase. 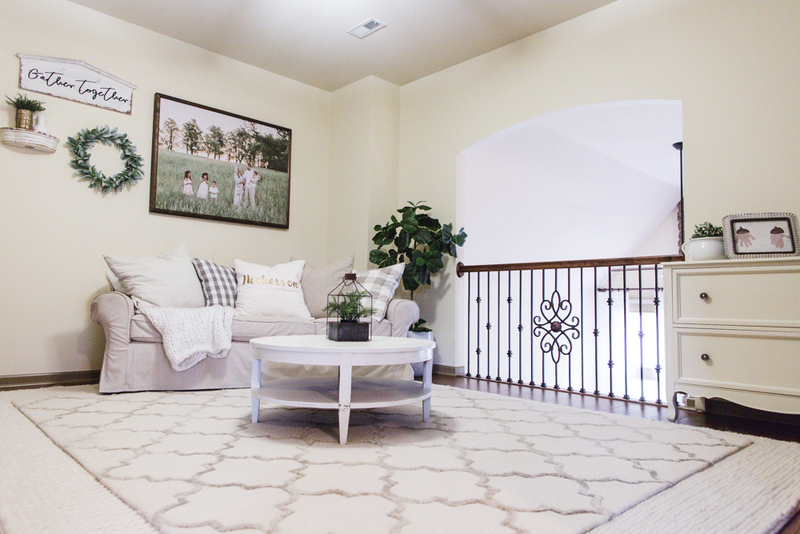 However, I wasn’t thrilled about the geometric shapes because it didn’t go with the style of my home, which is traditional/quasi-farmhouse style. Then I saw the floral patterns. When we were house shopping three years ago, it seemed like every model house I went to had these floral vine designs. So you know me, I make everything harder – I wanted to be a little different. Then I saw this design. At first glance, it seemed boring. And the color option of a cream wasn’t there. But I had a good feeling about this, but not a strong one. In the end, I chose this pattern initially because of the “timeless” factor even though I was in love with the trellis one. Herringbone is just a fun pattern. It was the Tuftex “Only Natural” line. I got it in “Plaza Taupe“. Once we got the carpet in so I could take a look at it in person, I was in love! 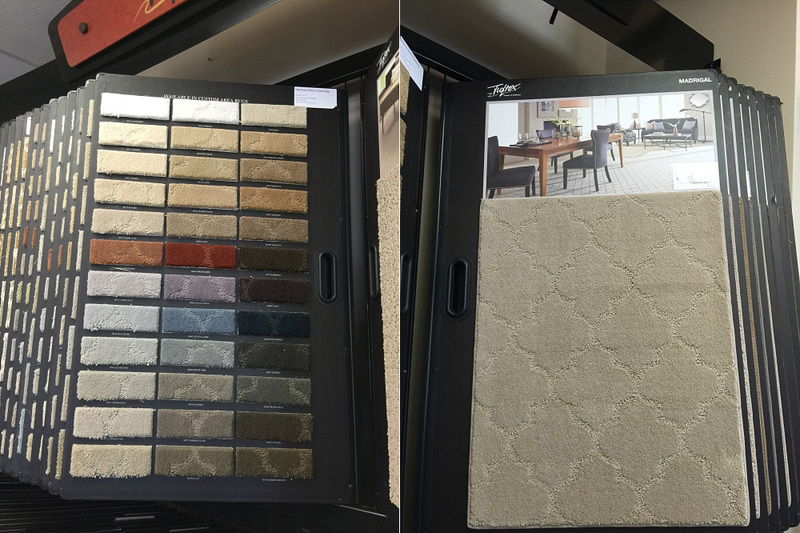 Sometimes, those little patterns at the carpet store don’t do the carpet justice. I was thrilled at my pattern selection after I saw it in person. 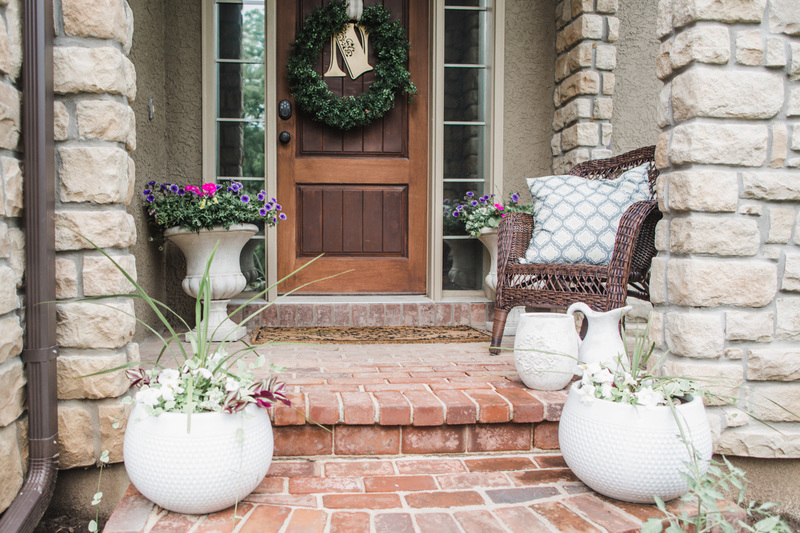 The time you will spend in a home coupled with your lifestyle and resale are all important factors when considering your design pattern. In short, as you consider the design for your staircase, think about how long that pattern will last in terms of dating your home! 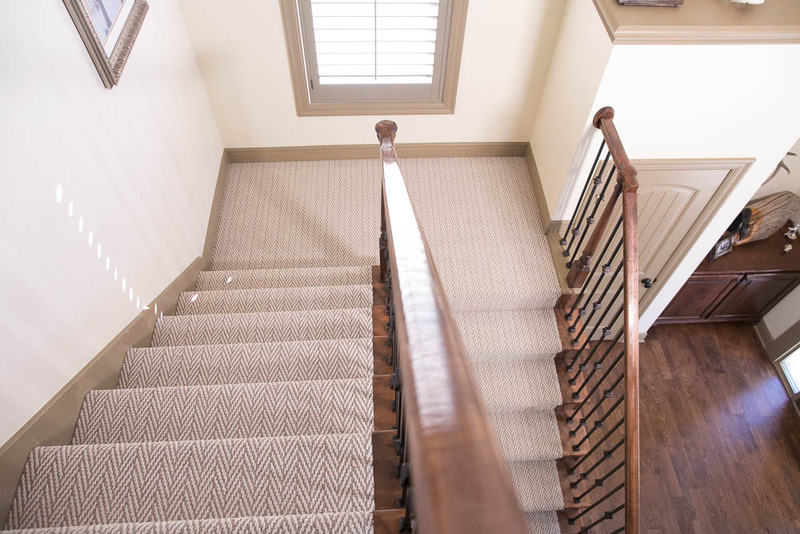 There are two ways to install stairway carpet on staircase: waterfall and tucked (which is also known as Hollywood style). 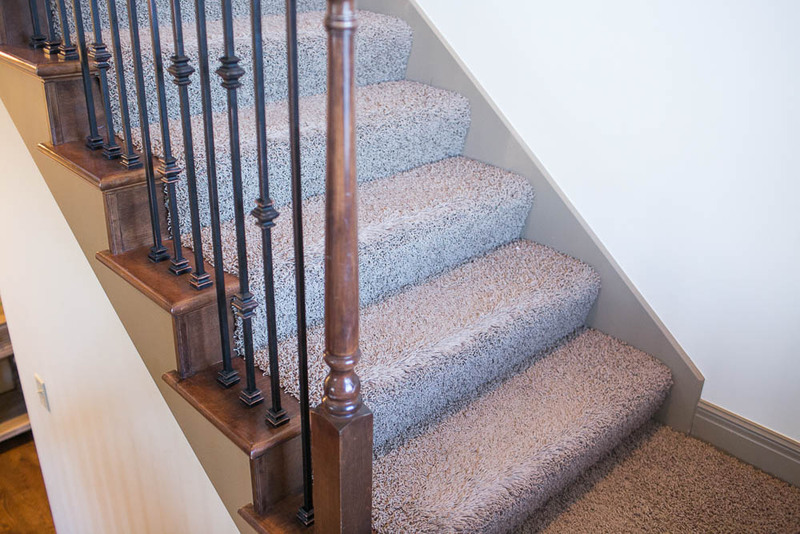 The other way to install carpet on staircases is the tuckedHollywood carpet stairs style, also known as Hollywood. It gets its name from back when movie sets would tack down the carpet on the staircase on set. Specifically with this style, the carpet is wrapped around the edge of the tread, contouring the nosing to meet the riser. 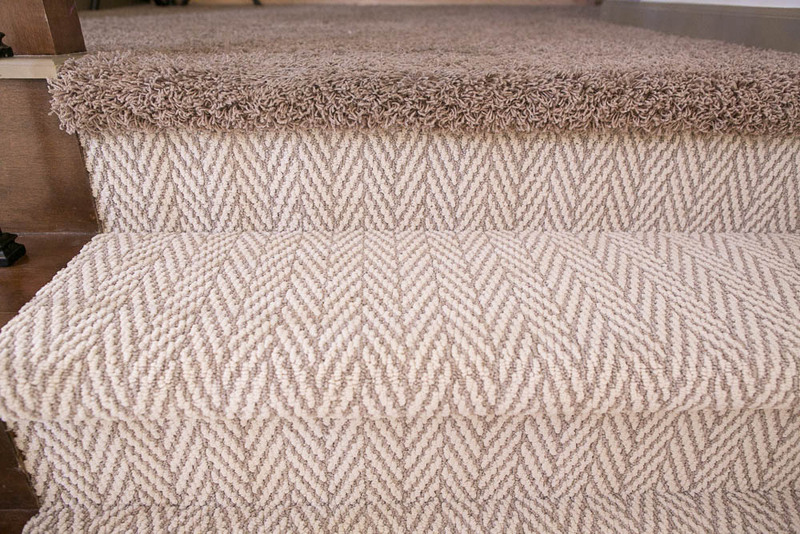 The carpet or runner gets stapled under the nose of the stair. 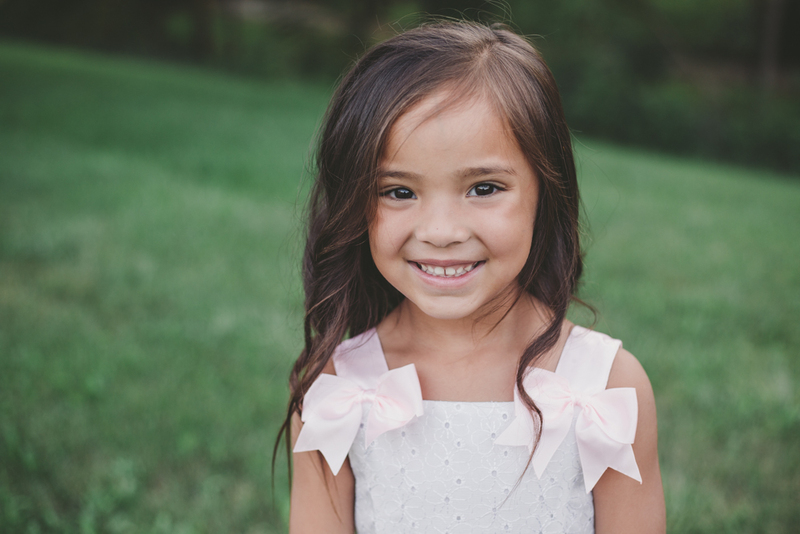 It requires a bit more effort than doing a waterfall, but also provides a more tailored look. 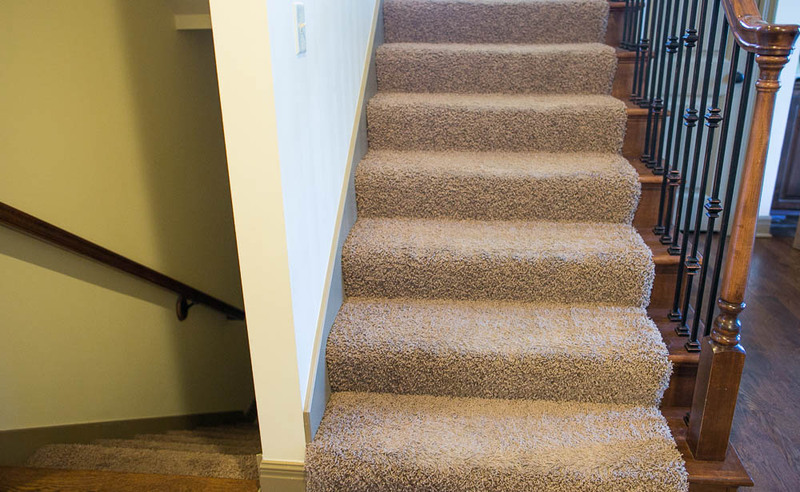 We chose the tucked Hollywood carpet stairs style for a cleaner look. There are so many factors to consider when deciding whether to DIY or hire a professional. 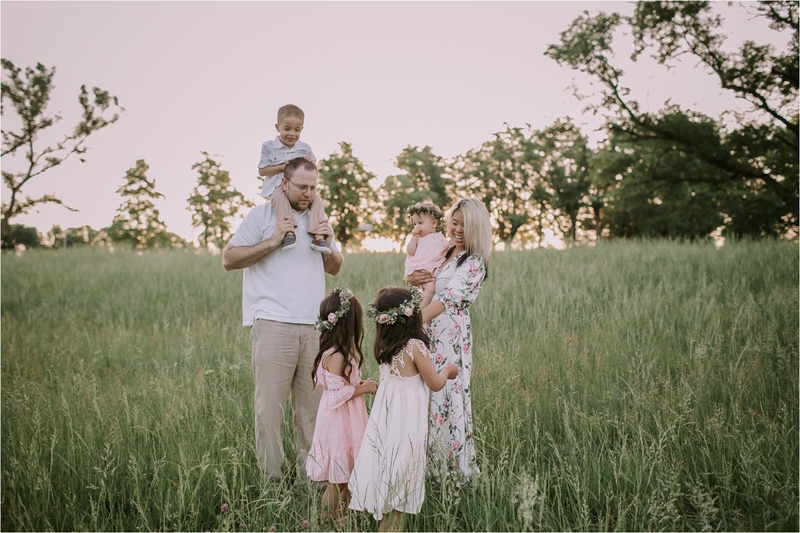 You all know that my hubs is pretty handy when it comes to home projects, but time and patience was definitely a factor for me. Cost was also a factor, but time is money, as they say. Since neither of us had ever done it before, we would have been YouTubing it as well as asking others for advice. That also takes time. Then, there is the “Ryan takes forever because everything has to be precise”. I mean, its definitely an amazing trait to have. But I would rather not have a tack strip sitting there indefinitely with three kids running around. 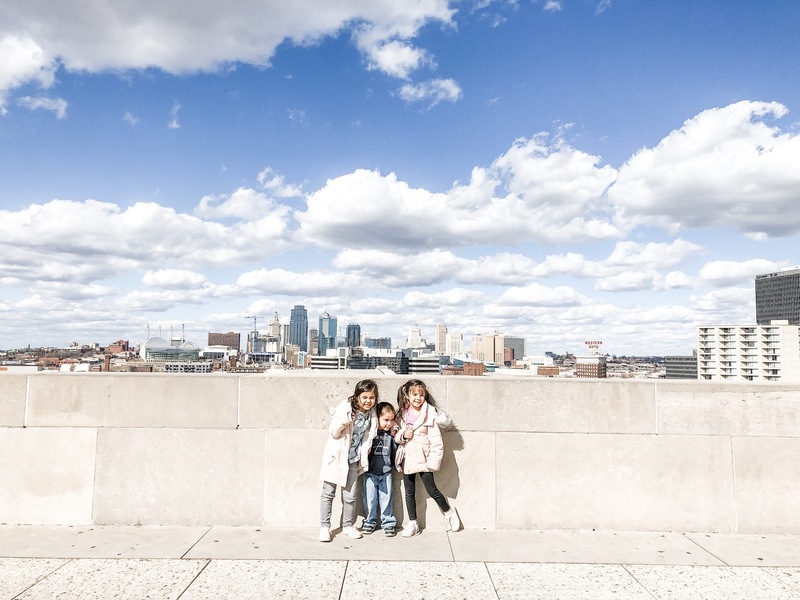 In addition, sometimes DIY’ing without experience may have a domino effect and require additional repairs, which may negate what the reason you DIY’d to begin with. This may cause additional frustration, extra cost and delay. 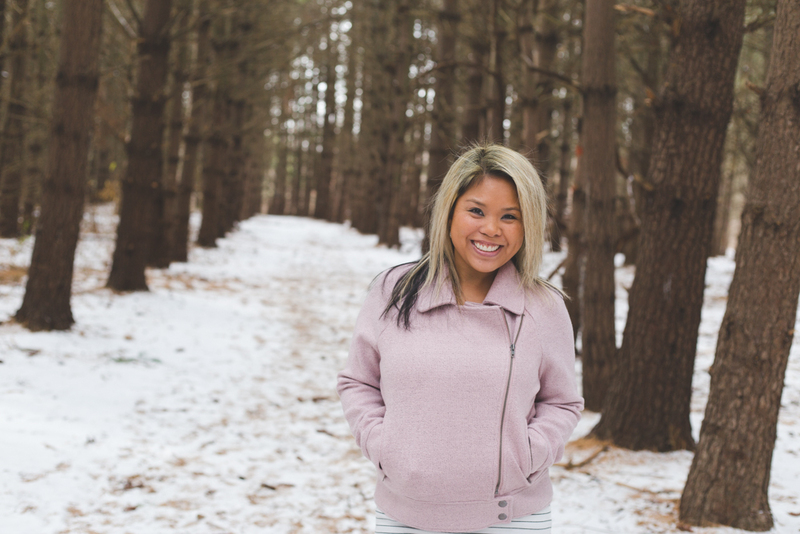 I’m not saying to NOT to try DIYing, but I’m telling you – there’s nothing worse than spending the money to do it and realizing it may have been easier to just get it professionally done (ahem my drapes incident). In our experience, the cost of the rug amounted to a similar amount for the labor. So you’ll have to be a judge on whether that savings is a benefit to you! Here’s a video that I captured with my professional installer Hippie (from Hippie’s Magic Carpet). Yes, his name is Hippie and he is awesome and did an amazing job! In this video, he also talks about the waterfall and tucked Hollywood carpet stairs installation methods in detail. Here are the after pictures. It looks way better in person y’all! We are planning on replacing the shag in our whole house. However, we’re waiting until the kids are a bit older. At this point, I’m okay with apple juice spilling on this shag rug without freaking out. See the transition at the top of the staircase? 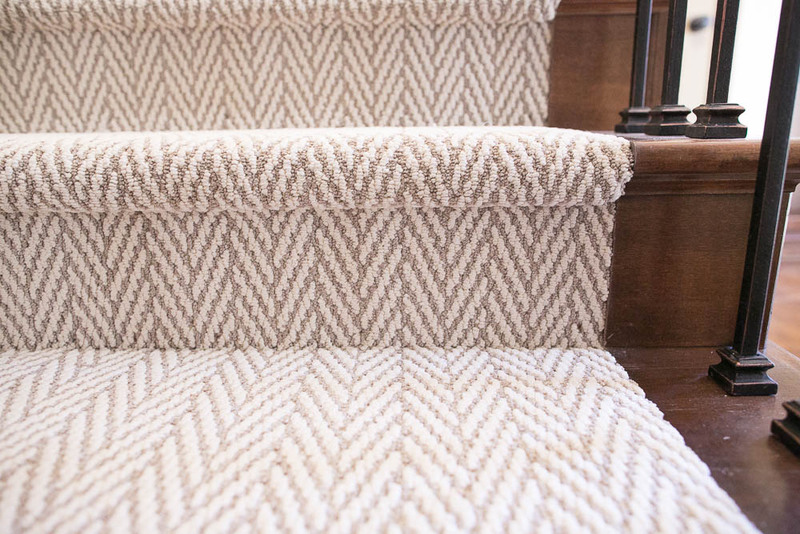 This herringbone pattern definitely brightened up the staircase! The pattern looked originally darker in the store, but was much lighter in person – which was what I wanted. As you guys know, I’m drawn to creams and whites. Here’s the view going down! So in love with this pattern! And another closeup of a non-waterfall staircase/stairway carpet tuck. 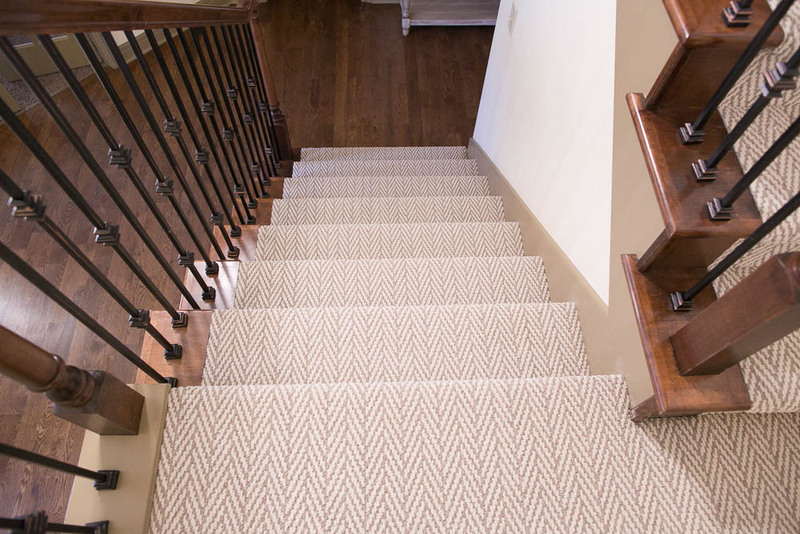 If you had to renovate your staircase, what type of pattern would you choose – the bullnose design or the Hollywood carpet stairs? Do you have any tips and tricks for stairway design and renovation ideas? 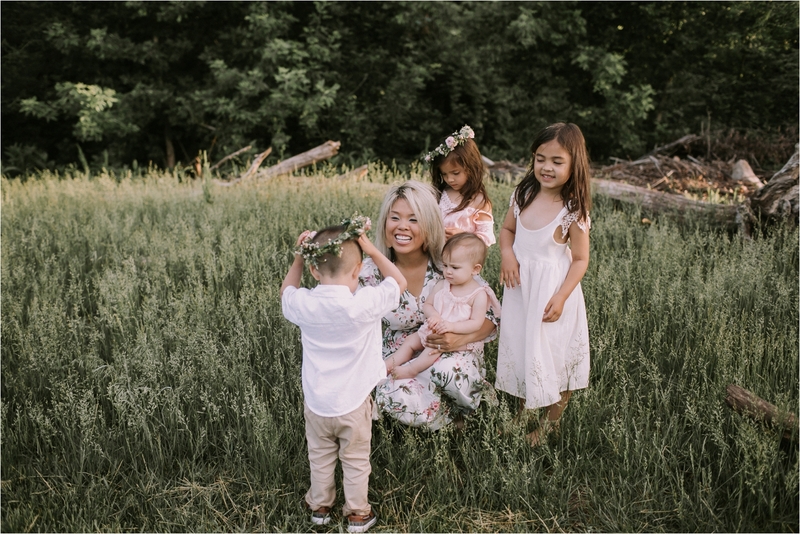 Check out my other videos on home projects on my YouTube channel to subscribe and get the latest at youtube.com/c/sengerson. Follow my Pinterest Staircase and Stairway board for inspiration. Hi- great post. 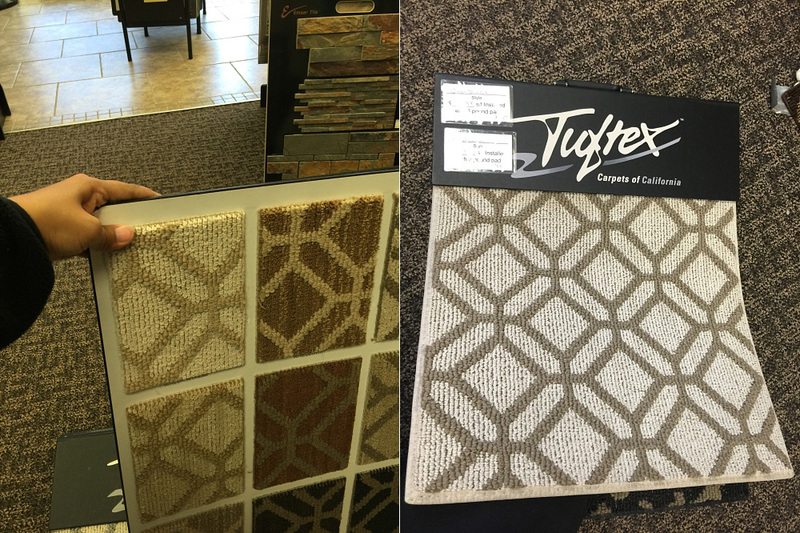 I found this info because I have the samples from the same carpet and am having trouble picking the color- I am between butternut and desert tan. Which one did you choose? How is it holding up? Thanks. Thanks so much Carol! I got the desert tan. I LOVE the carpet! It is still beautiful 🙂 I couldn’t be happier! Thanks for the info. Husband and I are debating whether we want the more pronounced stripes that the desert tan has over the butternut. The tan seems to change in different light- the clear winner in low light. In bright light I like the butter nut. FYI, on pinterest and all the sites, no one specifies which color the use in their “after” photos of this carpet. Hi! I love your choice! This has helped me a lot! Does the edge of your carpet have binding or did you tuck/wrap it and tack it down? The carpet guy gave me both options. Thanks! We had it tucked in! Similar question to Blair…can you comment on the edging? We just purchased this carpet in Chateau color. We were given the option of Surging vs Binding and also multi color vs solid color. Thank you. We just had it tucked in! Looks wonderful. I know my costs would be different, but for budgeting purposes, can you tell me your cost for the carpet and also your cost for the installation? Thanks! Do you remember if Hippie had a thin or thick padding installed with this carpet choice?